It's that time of the year again, boys. No, we're not talking about Christmas—although the -ber months are fast approaching, so brace yourselves for the endless Christmas songs and the sudden appearance of godchildren you didn't know you have. We're referring to the upcoming release of the next iPhone (or iPhones? ), which will probably happen next month (September has historically been new iPhone month). And as with any hotly anticipated tech product, rumors abound as to what it'll have, and what it won't. Like what we did last year, we'll do you a solid and give you a rundown of the possible features the 2015 iPhone(s) might have, according to the tech rumor mill. Keep in mind that we're just going with hearsay and guesses right now, and we may be proven wrong by Cupertino on or before the purported September 25 unveiling. Wait...what are they gonna be called again? A few sources call the next Apple handsets iPhone 6S and 6S Plus; some, like analyst (and super-reliable predicter of upcoming Apple features) Ming-Chi Kuo of KGI Securities, label them iPhone 7 and iPhone 7 Plus. Right now we're gonna go with 6S and 6S Plus because, based on the iPhone 4 and iPhone 5, Apple likes to add an "S" to every new model as a sign that it's more "super" than its predecessor but not necessarily a whole new product. In other words: We'll place our bets on incremental and internal updates, rather than huge shakeups to an insanely successful product line just one year after. A third iPhone coming soon? We saw over on CNET that there may be a third 2015 iPhone to be outed next month: a smaller and more affordable version to be named iPhone 6C or iPhone mini. This little one will follow the example of the 5C and be clad in various bright colors. It will also draw inspiration from the 5S and come with a 14K gold variant. Choices, choices. TechRadar says the next iPhones will ship with a Series 7000 Aluminum Alloy build, previously used on the Apple Watch. It's reportedly more durable (by up to 60-percent!) compared to the material on the bendy iPhones. That's great news, but it also invites more extreme physical tests (and gruesome smartphone destruction) from people with enough money and time to burn. We'll wait for those viral videos to come out, popcorn at the ready. There's one detail that stays consistent across different rumor sources: The new iPhones will retain the same sizes they were given last year (4.7- and 5.5-inches). It's said to look the same as the 6 and 6 Plus models, too, although we all know there's much more going on inside, which might warrant a slight change in thickness. 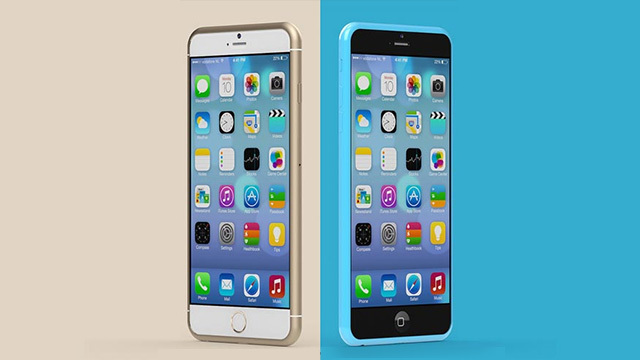 The 6S' successor is rumored to be a bit thicker by 0.2mm, but otherwise it's going to look the same as its predecessor. In short: There's no need to change smartphone covers and hard cases...at least not until 2016, when another major product redesign is expected. The Wall Street Journal called it back in March, and it has been echoed by other news sources: The next iPhones may have Force Touch technology. First seen in Apple's MacBook and Watch products, Force Touch basically senses how softly or hard the user is pressing or tapping on the screen, resulting to versatility and more touchscreen features (like pressing harder to fast-forward through a video faster). Having Force Touch on the 2015 iPhones can lead to "more innovative gaming applications," as attributed by WSJ to Kylie Huang, an analyst from Daiwa Capital Markets. Business Insider meanwhile also quoted Mark Gurman of 9to5Mac as saying that Force Touch can also effect changes to user shortcuts and function (e.g., dropping pins in Apple Maps, adding calendar events, and scrolling with media players in iOS). While we haven't found anything specific regarding the 2015 iPhones' batteries, sources like CNET say the next iPhones will have improved battery life, thanks in part to Qualcomm's power-efficient LTE chip. Last month, the Wall Street Journal reported that Apple's asking its suppliers to step up their game. Specifically, the company wants them to make a whopping 85 million to 90 million smartphones by the end of the year. That's 15 million to 20 million more than what they wanted last year!